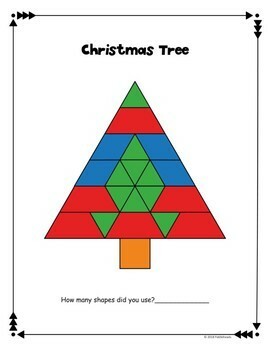 December Literacy and Math Bundle for First GradeYour students will enjoy these FUN and engaging activities. These activities will keep students learning during the hectic holiday season!Please click on each item for a more detailed description. 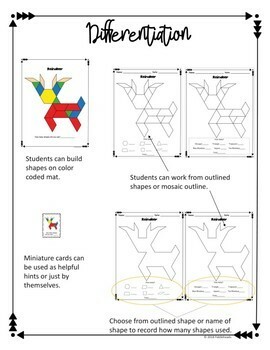 Keep students engaged with these FUN shape puzzles. 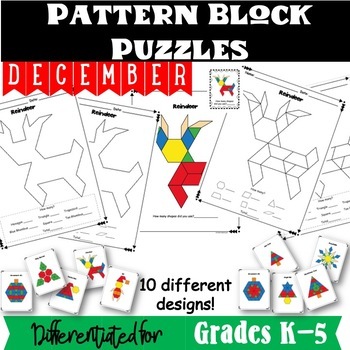 Students will compare and combine shapes to create a holiday themed tangram. 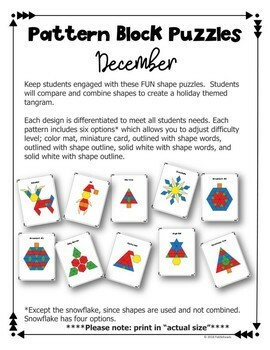 Each design is differentiated to meet all students needs. Each pattern includes six options* which allows you to adjust difficulty level; color mat, miniature card, outlined with shape words, outlined with shape outline, solid white with shape words, and solid white with shape outline. *Except the snowflake, since shapes are used and not combined. Snowflake has four options.